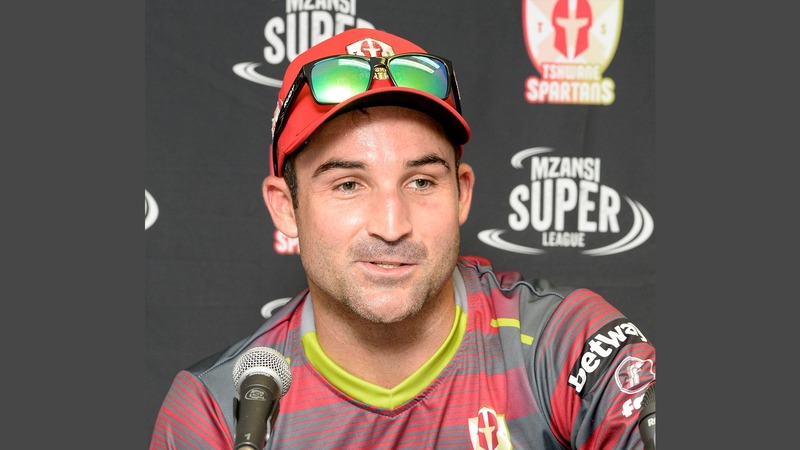 Dean Elgar believes the Tshwane Spartans are peaking at the right time in the Mzansi Super League and that they’re capable of continuing their recent good run in a “must-win” match against the Jozi Stars at the Bidvest Wanderers tonight from 19:00. The path to the play-offs is clear for the Spartans – win both of their remaining matches and they’ll still be playing on Friday when the match to decide who will face the Cape Town Blitz in Sunday’s final at PPC Newlands will take place. “We are aware of our position, know we have to put our best foot forward and obviously play extremely positive cricket. We proved in the last week when we got two wins that we are very capable of playing good cricket,” said Elgar. Those “serious performances,” need to be produced now, with the ‘must win’ nature of the contest adding to the intrigue and excitement that any kind of derby naturally creates. Elgar was the star of the previous encounter between the two teams at SuperSport Park when his unbeaten 79 guided the Spartans to a four-wicket victory in the final over. The Spartans did beat the Stars in a pre-tournament warm-up match at the Wanderers, but on that occasion, when AB de Villiers hit 93 off 31 balls, the Stars were without Reeza Hendricks, Dwaine Pretorius and Kagiso Rabada who were all on duty with the Standard Bank Proteas in Australia. “I’m not too concerned with the opposition, the challenge we know as players is to play better cricket than them, so I’m not worried about them,” Elgar added. The Spartans had a relaxing day off on Monday after travelling back to the Highveld from Port Elizabeth and Elgar believes the extra day’s break freshened not just bodies but the players’ minds as well. “The guys are in a good space, extra practice after playing quite a few games on the bounce won’t make much difference and I’m sure the guys are going to be ready for tonight,” said Elgar.